Obituary for Nancy J. Gillott | Graft-Jacquillard Funeral & Cremation Services, Inc.
Nancy J. Gillott, 73 of Connellsville, passed away, Thursday, January 17, 2019. She was born February 27, 1945 in Quantico, Virginia. 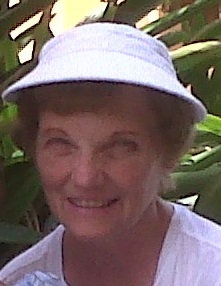 Nancy was a longtime and faithful member of the Partner Parish of St. John the Baptist R.C. Church, Scottdale. She is survived by her loving husband of 50 years, Howard J. Gillott; her two children, Marianne J. Pouliot and her husband Roland J. Pouliot; H. Justin Gillott and his wife, Sara-Jane C. Gillott; She was Nanny to her grandchildren, Anthony and Jacob Pouliot and Nora and Mara Gillott; sister of Donna Jean Neiderhiser (Floyd) and several nieces and nephews.